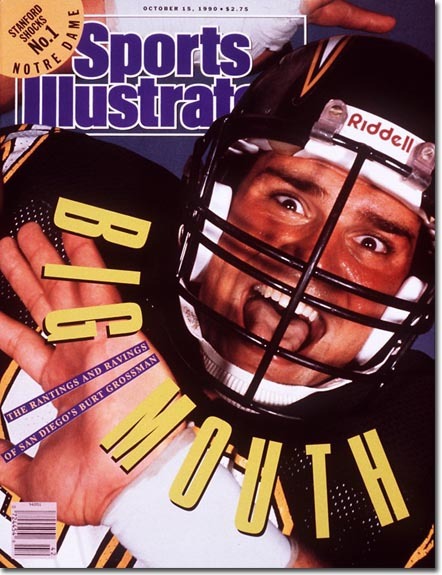 I recently went on a rant about Sports Illustrated, the magazine. 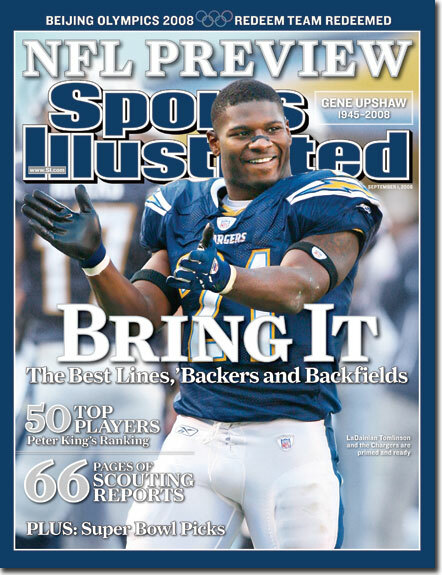 I think it’s ridiculous that the San Diego Chargers were not featured on the cover of one of the six Sports Illustrated 2011 NFL Preview issues. 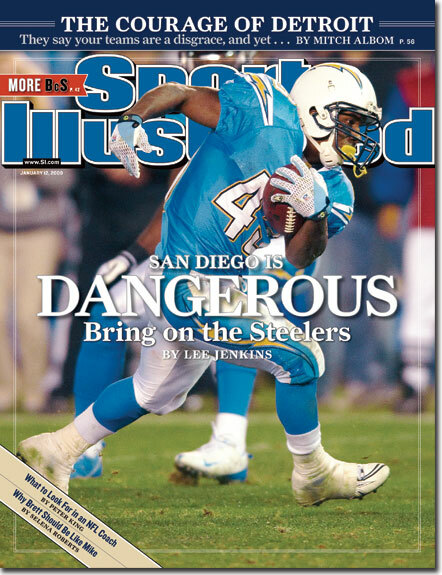 Got me to wondering how many times the Bolts have been the featured story on the cover of SI. 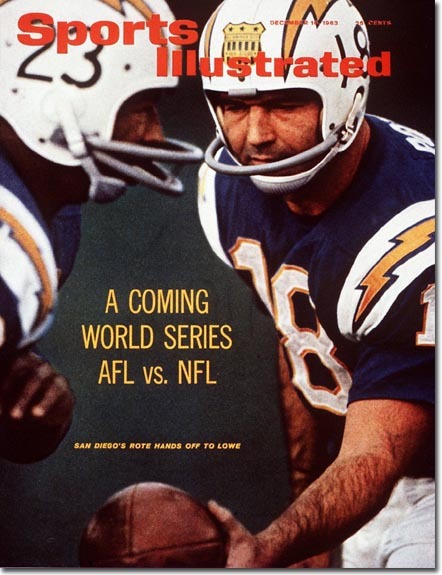 So, to the best of my research skills, here is the complete list, in order by date, of the times the Chargers have been featured on the cover of Sports Illustrated. Looks like a baker’s dozen to me. 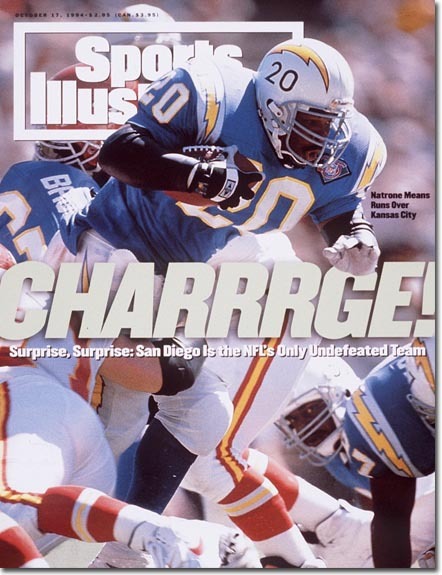 There they are folks… remember, that’s only when the Chargers were featured on the cover of Sports Illustrated. 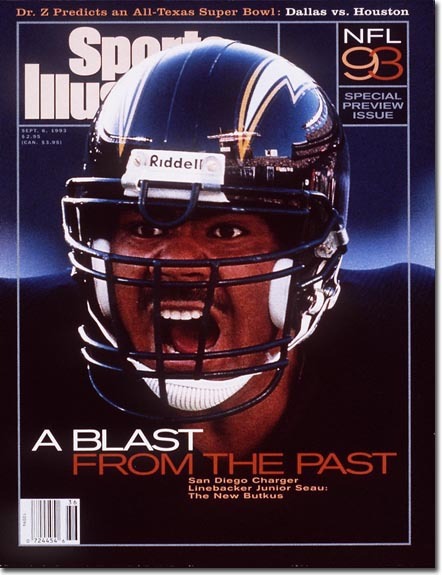 Not in a background image trying to defend Kurt Warner, or SI Latino with Luis Castillo, or SI Kids with Antonio Gates. Pretty fun to see the progression of uniform changes and equipment upgrades over the years. 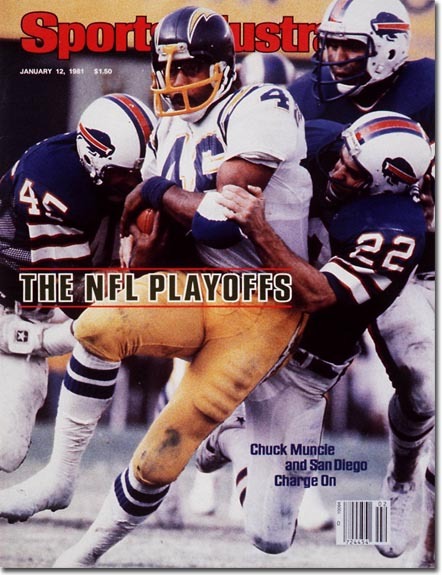 Love the first cover with Lowe and Rote, and their lack of a facemask. See the decal on the front middle of the helmet? Here it is. A decal worn for only one year, 1963, “All-America City: San Diego”. Awesome. 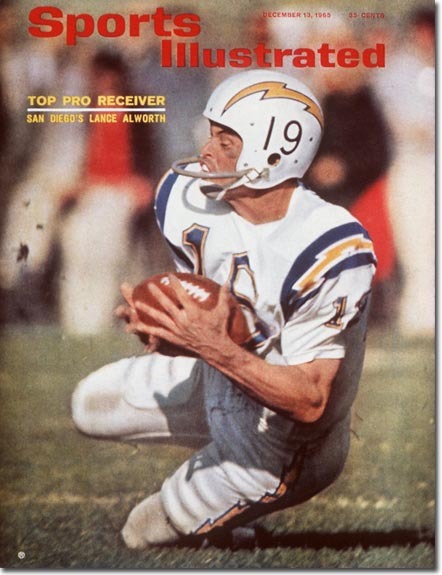 As for some of the other covers… Love the old school Alworth. 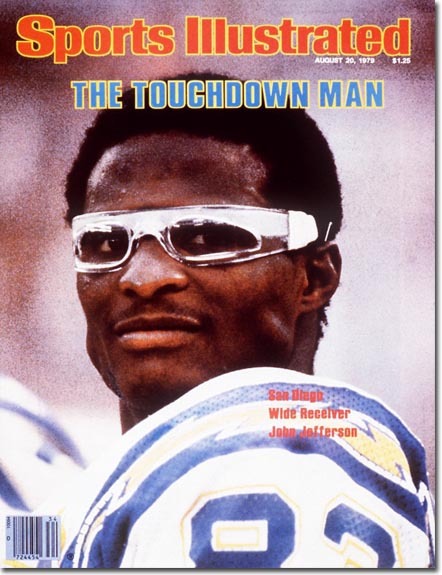 I’d have sworn that Jefferson was Eric Dickerson with those goggles. Muncie’s face mask is legit, love it. Natrone! So pretty to see the throwback powder blues. 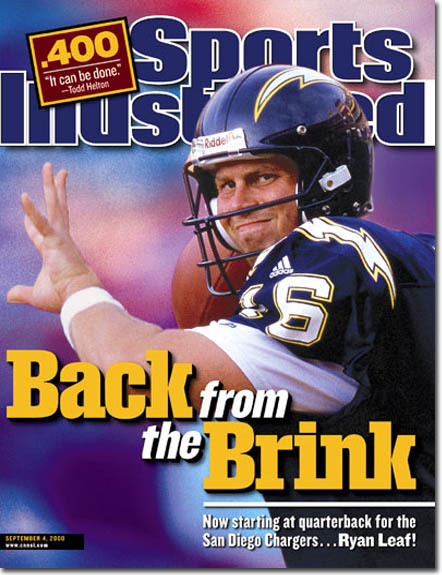 A year ago, that Ryan Leaf cover would’ve stung a bit to see again, but I’ve grown up and let go. 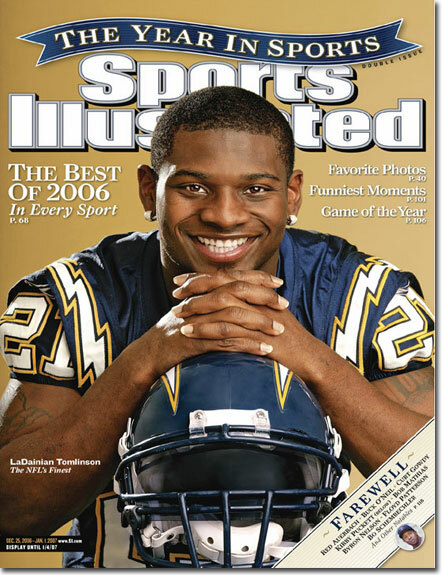 The 2006 version of LT has got some serious ear bling and insanely long nails for a dude. Oh man, I love remembering that game with Sproles lit up the Colts for a billion or so all-purpose yards. Hold me closer, Tiny Darren. And, of course, our hero Philip Rivers snugglin’ up to Hardwick and his arm sleeve… it’s just a beautiful sight to see. That was a nice little trip down memory lane, wasn’t it? 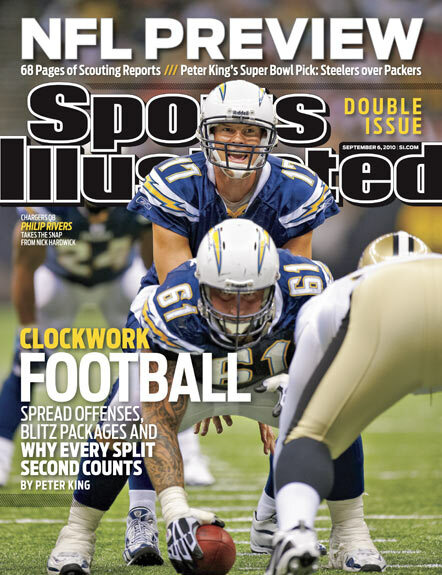 Here’s to a SI cover featuring your 2012 Super Bowl Champion Chargers. Get after it, boys. 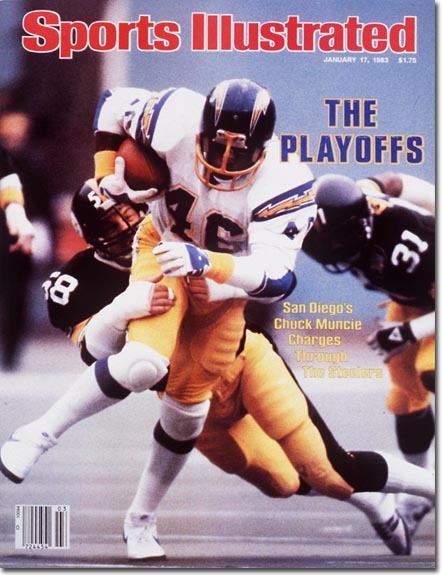 This entry was posted in Football, NFL and tagged Antonio Gates, burt grossman, Chargers, chuck muncie, Darren Sproles, John Jefferson, junior seau, LaDainian Tomlinson, Lance Alworth, luis castillo, Natrone Means, NFL, Paul Lowe, Philip Rivers, ryan leaf, San Diego, San Diego Chargers, SI Covers, Sports Illustrated, Sports Illustrated covers, Tobin Rote. Bookmark the permalink.